Super Ciccio Black Polarized Need Help? 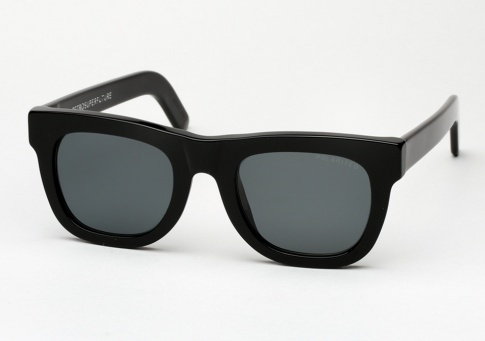 It is available here in classic black paired with dark grey polarized lenses. Polarized lenses dramatically reduces the glare off of any reflective surface. Whether it be off of the ocean, the pavement or windshields, you will experience less eye-strain and fatigue while maximizing your visual clarity. Carl Zeiss Polarized lenses: virtually eliminates the effects of glare that bounces off reflective surfaces.